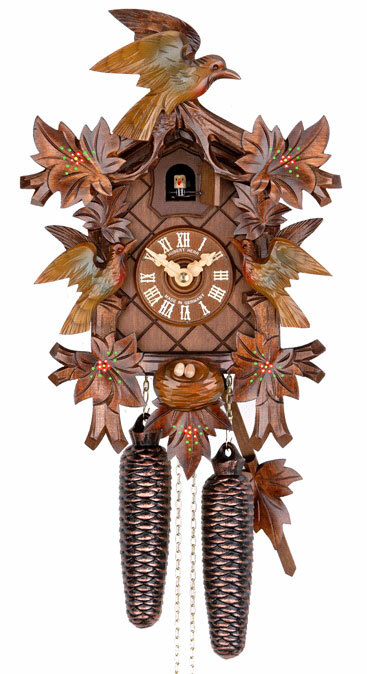 14 inch 8 day cuckoo clock by Hubert Herr with birds and handpainted flowers. Clock features nice carving work, wooden carved hands, wooden dial and wooden cuckoo bird. 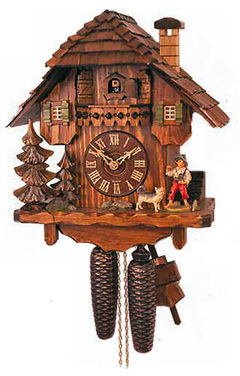 Cuckoo clock is equipped with a reliable german brass rackstrike movement with nightshutoff by Hubert Herr.